Please scroll down to read the full description. 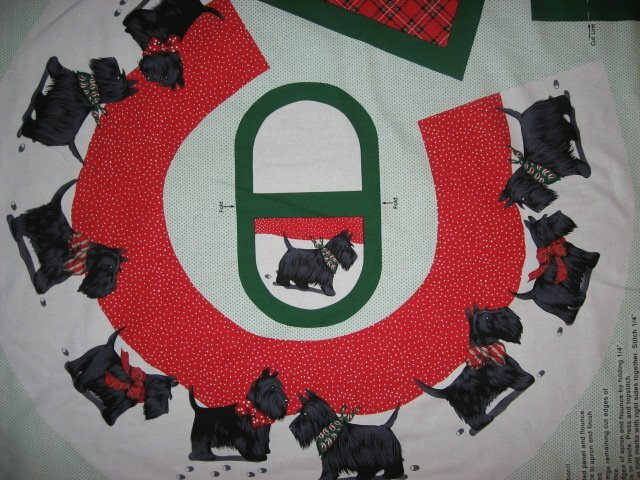 Scottish terriers Tartan plaid cotton fabric apron to sew. 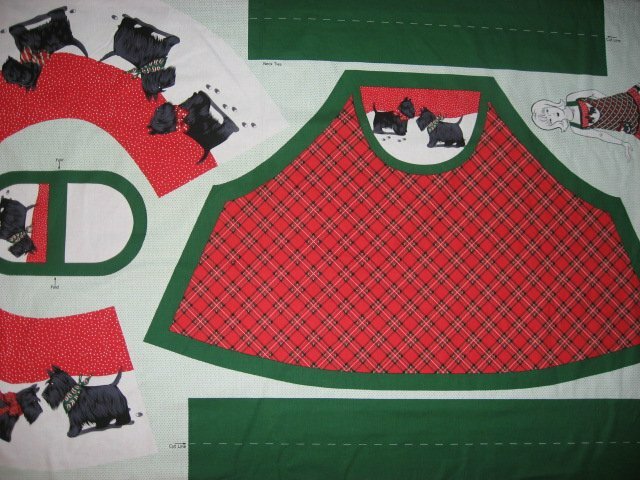 There is a pocket, and the semicircle is a flounce that you sew to the bottom of the apron. The borders and ties are a pretty, bright green, but they look black in the photo. 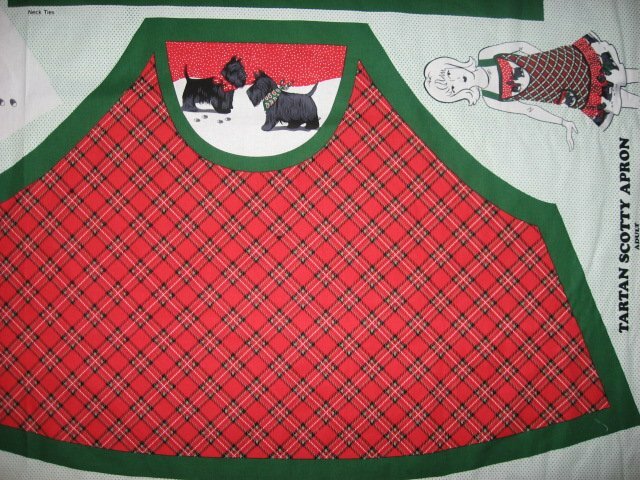 This apron panel for you to sew is made of heavier Quality cotton - not real thin fabric. This large apron will be about 28" wide x 31" long after you sew it. This is a great size for a man or a woman. Pretty colors. All the real easy directions are on the panel.